You asked if any of the “friendlies” took the warpath. I should think they did. There were two thousand “Bucks” went out of here the day we had the fight at Wounded Knee. It was them we had the second days pitched battle at White Clay where they lost another batch. Sergeant John B. Turney at Fort Riley, Kansas, circa 1890. John Bartholomew Turney was the thirty-four-year-old first sergeant of Captain Henry Jackson’s C Troop at Wounded Knee. He is pictured above likely at Fort Riley before being promoted to First Sergeant in late August 1890. A native of Bridgeport, Connecticut, Turney was an experienced non-commissioned officer with over eight years in C Troop since first enlisting in New York City in August 1882. He stood almost six feet tall with blue eyes, brown hair, and a fair complexion. During the Pine Ridge Campaign, Turney wrote to his wife, the former Miss Mary Ellen Maloney, whom he called Mollie. Of his campaign letters only three are still in existence. The first letter was written just days after Brigadier General John R. Brooke canceled the 7th Cavalry’s orders to advance on Chief Two Strikes’ band in the Stronghold in the Bad Lands on 15 December following the notification of Sitting Bull’s death. Pine Ridge Agency, S. D.
Your letter received today. I was about to send you a sheet of paper and an envelope. We are still in the same place. We were all packed up ready to head to the Badlands on Tuesday morning but the order was countermanded so we settled down again. There were eight hundred lodges of Indians came in the next day and camped near us. That is the reason we did not have to go out, but there are a plenty of them left yet who do not seem inclined to come in. Sitting Bull and his son and five more Indian chiefs were killed the other day in a fight up the country. “Bull” was the principal chief of all the tribes in the northwest. I went to a war dance the other day and it was about the finest thing in a wild sense that I ever saw. The warriors were all sitting in a large circle and although it was the 15th of December, they were all stark naked except for a “breach clout,” a beautiful headdress or war bonnet and other ornaments. Their bodies were all painted, some of them one color and some another and some half a dozen different colors. Some looked hideous, and some positively beautiful. They were all splendidly formed Indians, and some of them were painted a rich, dark cream color with green feet and hands and spots of green on the legs over the cream, as though they had been put on by rubbing the finger down like fringe. They all wore a headdress of bright hue and eagle feathers. Some of them reaching to the ground. Then came a beautiful beaded belt of some kind to which was fastened an enormous “bustle” of eagle feathers, sticking out a yard behind and touching the ground. To this was fastened on each side a string of small sleigh bells, the end of each string coming down and fastening to the ankle of the leg on its respective side by a band of silver or some bright metal. They also wore armlets and bracelets of some sort. You could not buy one of these rigs for $100 cash. When I arrived at the place where the “pow-wow” was held and saw this circle of brilliant colors and painted bodies, I thought it was the finest thing I had ever seen. There was some big talk and acting on the part of the Big Chief, showing past experiences on the war path, and then the circle of braves rose up and commenced their dancing, and with the fearfull yelling and the merry sleighbells ringing and weapons flashing, my horse got wild and I had all I could do to keep him from carrying me into the midst of the howling mob. They kept it up for about five hours and they were still at it when I left. The only music for “Buck dance” is a big drum which was beaten by several of the old chiefs who sit in a circle around it on the ground with each a stick. I have one of the headdresses and a war club which I will show to you when I come back. I will also bring you a pretty pair of moccasins for Sunday. Those I sent you I got because they were more truly Indian style than the fancy ones. Thompson was at the glorious pow wow and he said he was quite gone on one of the braves that we picked out from the crowd. He was perfectly handsome in his paint and feathers and had no paint on his face except that pretty cream color, while most of them had all sorts of figures in different colors painted on their faces. One old devil had a black mustache painted on his red mug, curling away up to the side of his ears. I send you a clipping from the Globe Democrat which tells you as much about when we will get back as I know. I hope it is true. I should like to be discharged in New Mexico or Texas. I think I could do better there, but in any case, I shall not forget to apply for discharge when the time comes, and if we can’t do better, we will go to Denver. I wish I could be there for Christmas, as you say, but I suppose there is no use. Tell Mrs. N. that I did not dare send her a pair of moccasins on account of you being there, but I will bring her a pair when I come anyway. I am so sorry that I am not prepared to send you any money now, but I shall be pretty well fixed when I get back and can make everything right. I am going to get little Roy a fur robe or cloak before I leave here. You had better enquire for letters for me at the post office and if you get any, forward them to me. We received 10 new men from the 62 assigned to the Regiment. They came from [Fort] Robinson some days ago, and they had a rather rough induction to soldier’s life joining the troops in the field on an Indian campaign. “C” Troop started away with 45 men present and it now has 56 present which is the full allowance for a cavalry troop now. Sergt. Murray of “G” Troop was reduced at his own request and transferred to “C” Troop. Sergt. McCallum who was acting Q. M. of C Troop has been reduced at his own request on account of some racket he had with some other troop officers. Sergt. Thompson is acting Q. M. again. He did not want to have the position but I would not let the old man let him off. Sergt. Dolan of “L” Troop is assigned to “C” Troop and we are happy. Let the Indians yell. Tell Mrs. N. to see that you take good care of that Boy. Love to Ella, Ha Ha. My partner, the last fellow who was down there with me won two hundred and seventy-five dollars over in one of the tepees the other night. Love to all the kids. The next of First Sergeant Turney’s letters that still exist came a month later and two weeks after the battle at Wounded Knee. His view of the Lakota is harsh and exemplifies the contemporary feelings that many soldiers held toward their Sioux adversaries. P. R. Agency, S. D.
The latest report tonight is that the war is over, that the reds have expressed their willingness to surrender to General Miles, and that the 7th Cavalry will soon be on the road home. I think I told you in my last letter that we are encamped on the hill overlooking our old camp, and near the agency buildings. Our old camp is now occupied by “friendlies” as thick as bees. The hostile camp is over the next hill north of us about a mile off, at the same place where they attacked the 9th Cavalry wagon train. We have a strong guard overlooking their camp from the hill where there are earthworks and fortifications thrown up. They came into the place where they are yesterday and have been held there since. There are about 400 lodges of them. Surrounding them at different points in the surrounding country are troops of the 6th and 8th Cavalry and lots of infantry and artillery, so that their case is a hopeless one. You asked if any of the “friendlies” took the warpath. I should think they did. There were two thousand “Bucks” went out of here the day we had the fight at Wounded Knee. It was them we had the second days pitched battle at White Clay where they lost another batch. The eastern papers are giving the 7th a terrible roasting. They call us “murderers,” “butchers” &c. &c., but the boys only laugh at them. They don’t care a straw what they say. They have done nothing they are sorry for, and if they were to get another rap at the red heathen they would do them up worse you can bet. No one knows better what the red devils deserve than the soldiers, and they are mad enough to give them the full amount. If some of the fools in the east who are making this talk about the “slaughter” at Wounded Knee had been with us in the field for the past 6 or 7 weeks, I warrant they would be delighted to see every Indian in the northwest blown to kingdom come with one volly [sic]. I must tell you of one funny thing that happened at Wounded Knee. It was the 3rd fight for “C” Troop that day, when we were attacked by Brule and lost our prisoners. Sergt. Dolan who used to belong to “L” troop was next to me on the line when the Brules came over the bluff and attacked us. The first shot broke Dolan’s pipe into [sic], and left part of the stem in his mouth. He plugged the red who fired it, just as the Capt. hollered to him not to shoot. He looked around at the capt. and said, “but the son of a gun broke me pipe!” We did not have time to laugh just then but those who heard it had a good laugh afterward. Well dear hoping latest report is true & with best love, to yourself & Roy and all the folks. First Sergeant Turney wrote his wife again a week later, the third and final letter that still survives. Your letter received today and I was sorry to hear of Roy’s trouble, but hope he will be all right. The red curses came in the other day and camped down on the flat near our old camp. The head of the column appeared around the bluff to our left about 9 o’clock in the morning and the end of them did not get into camp until about 4 in the afternoon. So you can imagine there were a crowd of them to keep up a steady stream all day. Their camp is a sight. The teepes are as thick as corn stacks in a good field and reach as far as we can see. We hope the devils will quiet down after a few days and admit of our being sent home. If they get well settled in their camp, I think they will be all right, but it will take some days for them to do so. If we don’t get orders for home soon I will send you a P. O. order for some cash. You must need some by this time, I should think, but I am hoping to see orders for our return every day, and I will have a big Iron dollar for you. Did you get the little moccasins I sent for Roy the other day? I got them at a deserted ranche when we were out on a scout. You ought to see my collection of curiosities from the Wounded Knee fight. I have quite a lot of them. Baus has quite a collection. He was back at the battle field afterwards with the detachment who went to bury the dead bucks. He is going to be discharged the 25th but is going to take on again and we have got it made up to have our Christmas dinner when we get back. That is if Mrs. Newman is willing to entertain us, and you will laugh to hear Baus tell about some of the picnics we had. The Indians are scrapping among themselves occasionally. They killed two of each other night before last. This suits the soldiers perfectly. It is after taps so I will close with love to yourself & Roy. Remember me to Mr. & Mrs. N. and all the children, especially to my sweetheart little Mary. First Sergeant Turney was one of nineteen soldiers injured, including two killed, in a train wreck on the return trip from the campaign to Fort Riley, Kansas. He was discharged three months later in April 1891. A year later he enlisted again in Captain Jackson’s C Troop, but at the rank of Private. His military career ended ingloriously the following year when he was found guilty at a court martial for being drunk and disorderly while assigned at Camp Carrizo, Texas. He was discharged on 20 March 1893 still a private with no characterization of service. He returned to Junction City, Kansas, where Mollie gave birth to a second son, John Francis, in November 1894, but John Turney never met his name sake. He had returned to his home town of Black Rock, Connecticut, where he lived briefly with his sister, Mary Eliza Turney, and worked as a hotel bookkeeper in 1895. All record of John Bartholomew Turney ends at that point. When or where he died, and where he is buried remain a mystery. Mollie moved with her family to Durango, Colorado, where she married Levin P. Logan in 1898. This photograph of Sergeant John B. Turney was graciously donated by John F. Turney of Alamogordo, New Mexico, with express permission to post to this website. Further copies of this photograph are not permitted. Ancestry.com, U.S. Army, Register of Enlistments, 1798-1914 [database on-line], Provo, UT, USA: Ancestry.com Operations Inc, 2007, Register: 1878-1884 P-Z, Image: 320, Line: 157; Register: 1885-1890 L-Z, Image: 484, Line: 16. Photograph image courtesy Elizabeth Turney Schellman of Lawrence, Kansas. John F. Turney, John B. and the 7th Cavalry, (Copyright by John F. Turney, 2012), 225-228. John F. Turney is the grandson of John B. Turney and in possession of the photograph and letters. In 2012, J. F. Turney published a historical novel of the life of his grandfather. While much of the book is fictional, it is based on historical record and demonstrates a thorough research of 7th Cavalry muster rolls and monthly reports. J. F. Turney changed some of the names of his characters, but left most unchanged. In the opening of the book he states, “the letters included are quoted almost word-for-word from the original missives.” Mr. Turney and his wife and daughter were gracious to share with me images of the original letters. First Sergeant Turney’s first child, Roy Michael, was born just six weeks before the Regiment departed for Pine Ridge. Sergeant Murray refers to John J. Murray. According the the C Troop muster roll, he was reduced to Private in G Troop at his own request on 30 November 1890 and transferred to C Troop on 3 December. Sergeant McCullum refers to Donald McCullum. He was reduced to Private at his own request on 12 December. Sergeant Thompson refers to Adolf J. Tompson and Sergeant Dolan refers to John Dolan. Ibid., 260-261. Baus refers to Corporal Jacob Baus whose five-year enlistment was due to expire on 26 January 1891. Omaha Daily Bee, Wednesday Morning, 28 January 1891; U.S. Army, Register of Enlistments, 1798-1914, Register: 1891-1892 A-Z, Page: 458, Line: 81; Ancestry.com, U.S. City Directories, 1821-1989 [database on-line], Provo, UT, USA: Ancestry.com Operations, Inc., 2011, Publication Title: Bridgeport, Connecticut, City Directory, 1895, Page: 365. 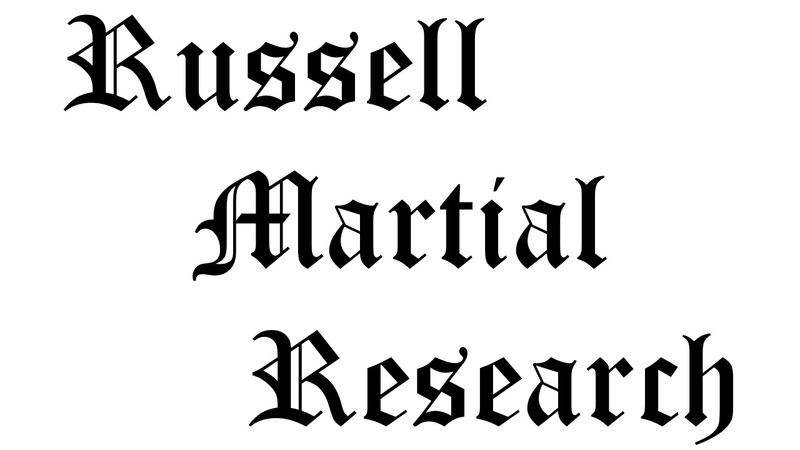 Citation for this article: Samuel L. Russell, “The Letters of First Sergeant John B. Turney, C Troop, 7th Cavalry,” Army at Wounded Knee (Sumter, SC: Russell Martial Research, 2013-2014, http://wp.me/p3NoJy-pl), posted 29 Jan 2014, accessed __________. This entry was posted in Enlisted, Personal Letters and tagged 7th Cavalry, 7th Cavalry Regiment (United States), Big Foot, Cavalry, Drexel Mission, Fort Riley, ghost dance, Lakota, Miniconjou, Oglala Lakota, Pine Ridge, Pine Ridge Agency, Pine Ridge Indian Reservation, Sioux, White Clay Creek, Wounded Knee, Wounded Knee Creek, Wounded Knee Massacre. Bookmark the permalink.